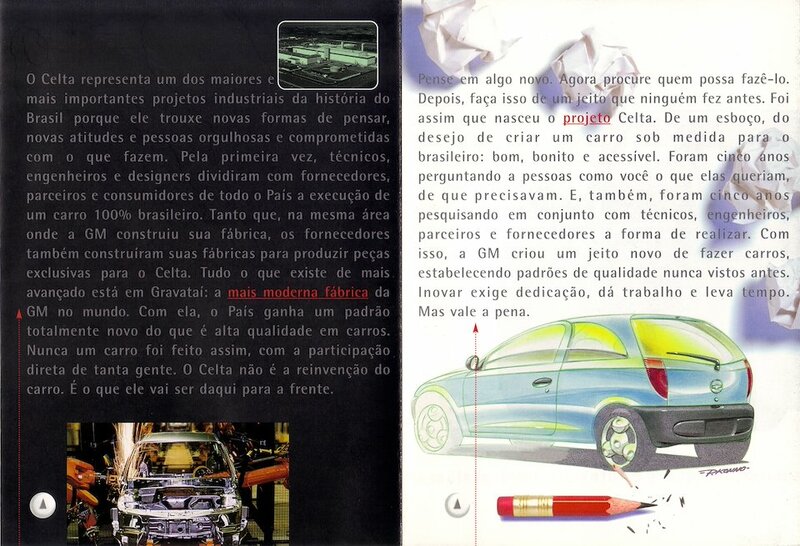 These pages talk about the GM Gravatai plant, the most modern in the world, exclusively conceived and built for the Celta, and the unique design process that led to a genuine brazilian passenger vehicle. 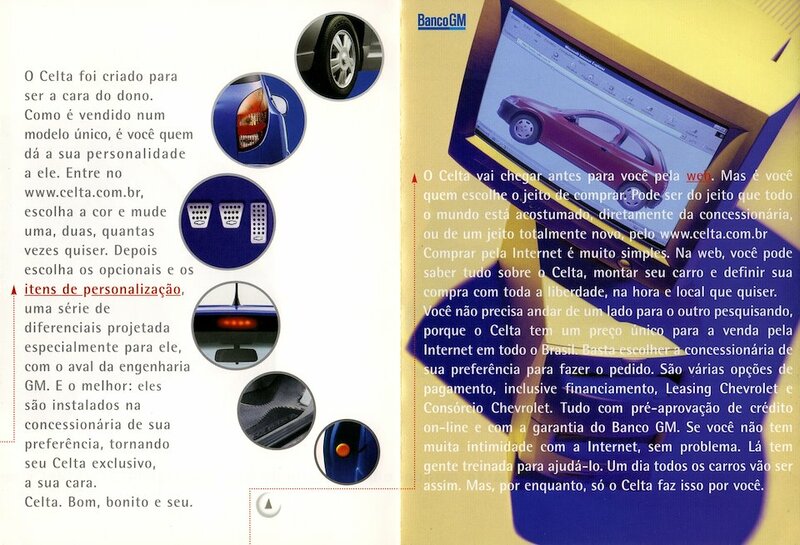 The right page shows one of Paulo's sketches. 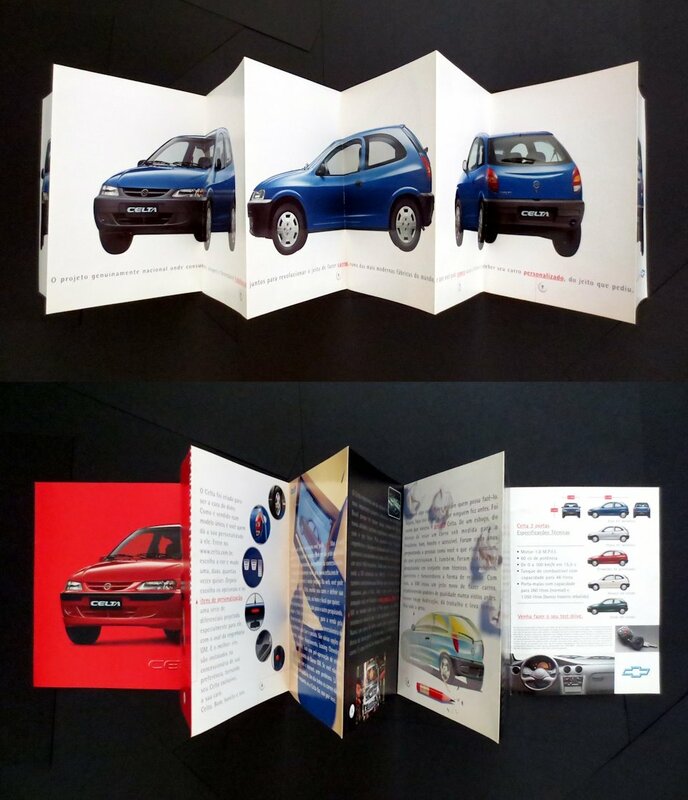 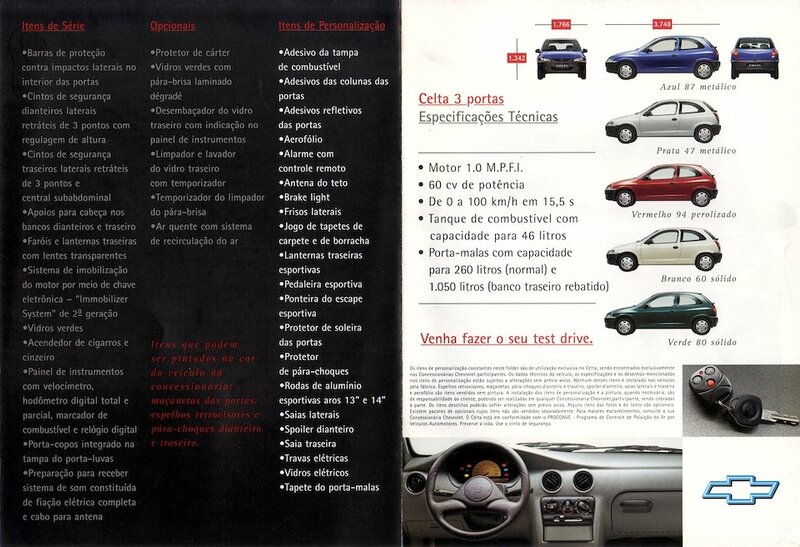 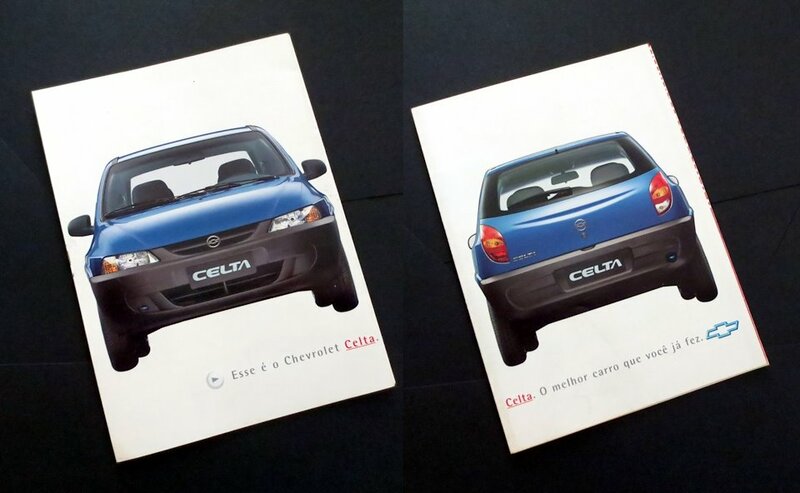 First merchandise piece created for the launch of the Chevrolet Celta on September of 2000.